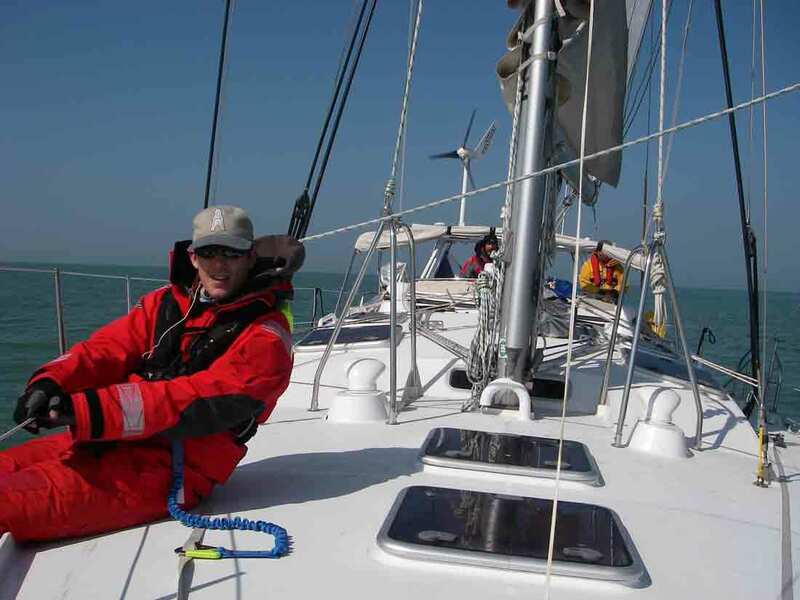 Having completed all our additions and modifications with only a persistent leak from the newly installed Freshwater Carbon Filter; Joe joined us for the trip across the Channel to Honfleur. 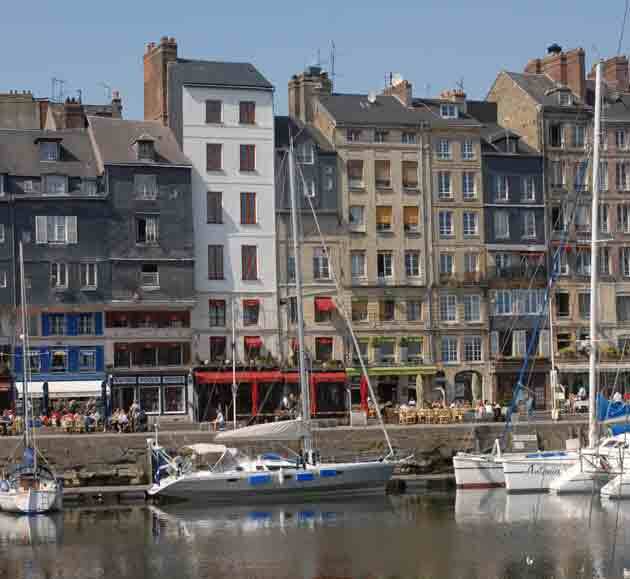 We had looked at going to LeHavre to take our mast down but found that Honfleur Nautic will also do it and Honfleur is a very nice place to be and more convenient for setting off up the Seine. 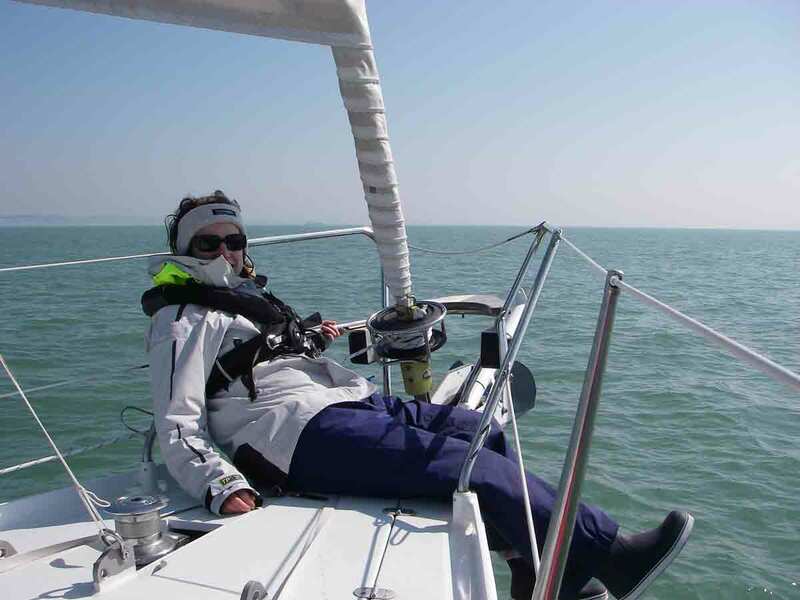 We set out from Shamrock Quay at 14:00 Sunday 8th April - the time of sailing to give us daylight for the Solent and Landfall at the Seine, with the channel crossing mainly in the dark. We topped up with Diesel at the barge by Itchen Bridge - 80 litres only - and off down to the Solent in a nice breeze among many Sunday sailors. 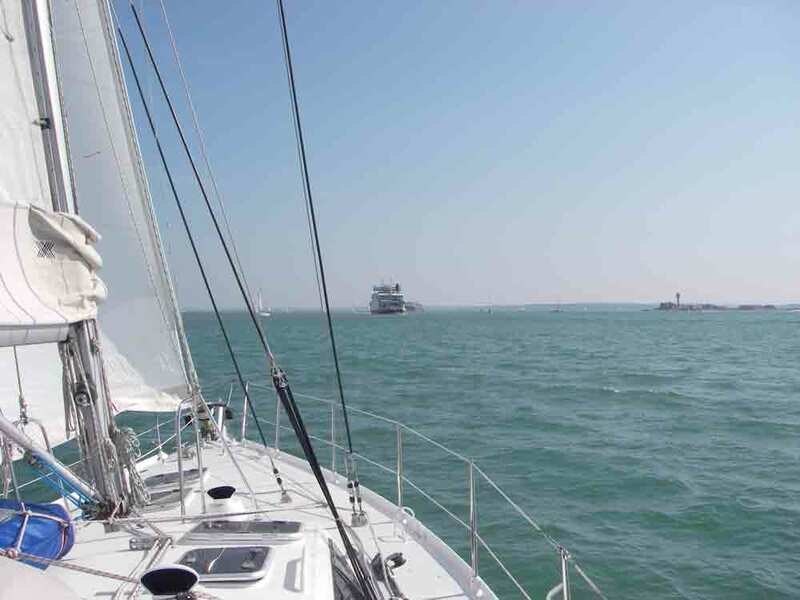 We rounded No Man’s Land Fort just in the channel after dodging some very large ships and headed for Bembridge ledge Buoy; from here we set a course for the safe water buoy at the outermost part of the Port de Rouen Channel. Joe and Susanne did the long early morning watch - the skipper having left for a small kip and woke to the dawn. Big ships in the channel were no problem but we had a few moments with pair fishers, whose lights are very hard to distinguish among their powerful working floodlights - once we had determined their track we passed well astern - often after heaving to for a while. We had light SW winds all the way and usually managed to maintain 6 knots. The Superwind turbine worked well and easily kept up with the current being used by the instruments and autopilot. We started the engine as the wind came aft and dropped, and weaved our way through waiting ships. After entering the Channel de Rouen proper and dodging a dredger working in the channel, we kept just outside the north side of the channel - much to Heidi’s dismay who is usually a bit wary of shallow water; but once past the narrow entrance sections there is plenty of water and space. Looking at the Honfleur lock times we slowed down to arrive at 14:00. 23 hrs quay to quay. We arrived to an open lock and put on too many lines for our first French lock. Motoring into Honfleur is very nice and as we approached the bridge to the Old Basin the bridge magically opened. Another yacht was coming out so we did a circuit trying to dodge the tour boats leaving the outer quays. Being Easter Monday Honfleur was thronged; the bridge was jam packed either side as we passed through and as some saw our Scottish flags we got a round of applause! The visitor pontoon had a nice space and shortly after tying up the pleasant female harbour master came to welcome us and offer a finger pontoon in the local section since we were staying a week. We then got the bikes out and cycled round to see Frederique at Honfleur Nautic.